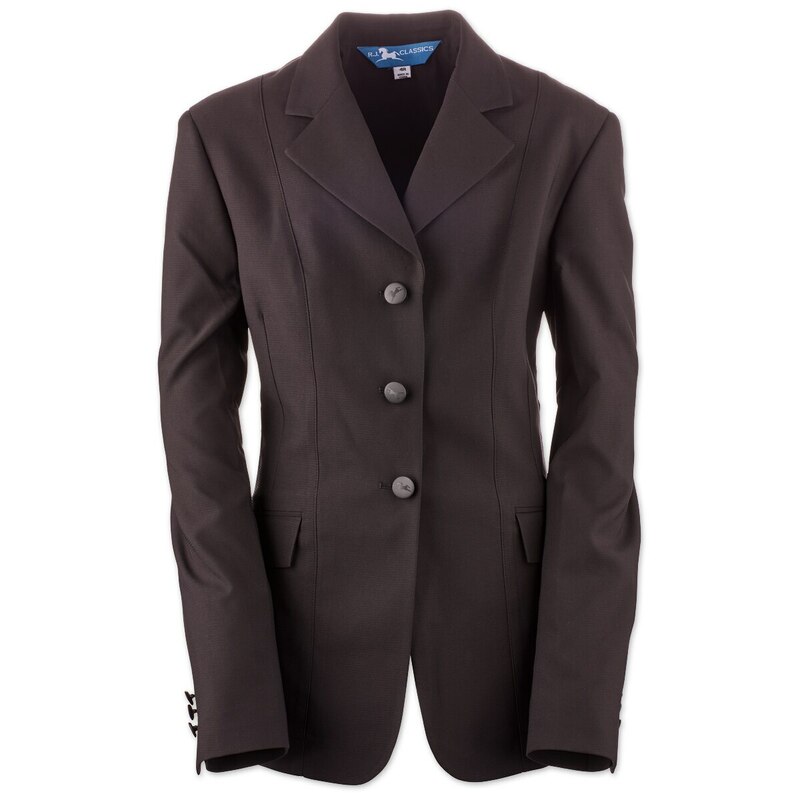 The RJ Classics Sydney Softshell Show Coat will give you a show ring ready look in now time! The Blue Label offers RJ Classics signature fit, quality and value! Traditional subtle styling provides the proper attire for the beginner, returning or casual competitor! The Sydney borrows elements from the "Grey Label" to offer details like a subtly textured, moisture wicking and stretch fabric. Details such as horse logo shank buttons outside as well as a half lined stretch inside culminate to bring you a modern show ring staple. 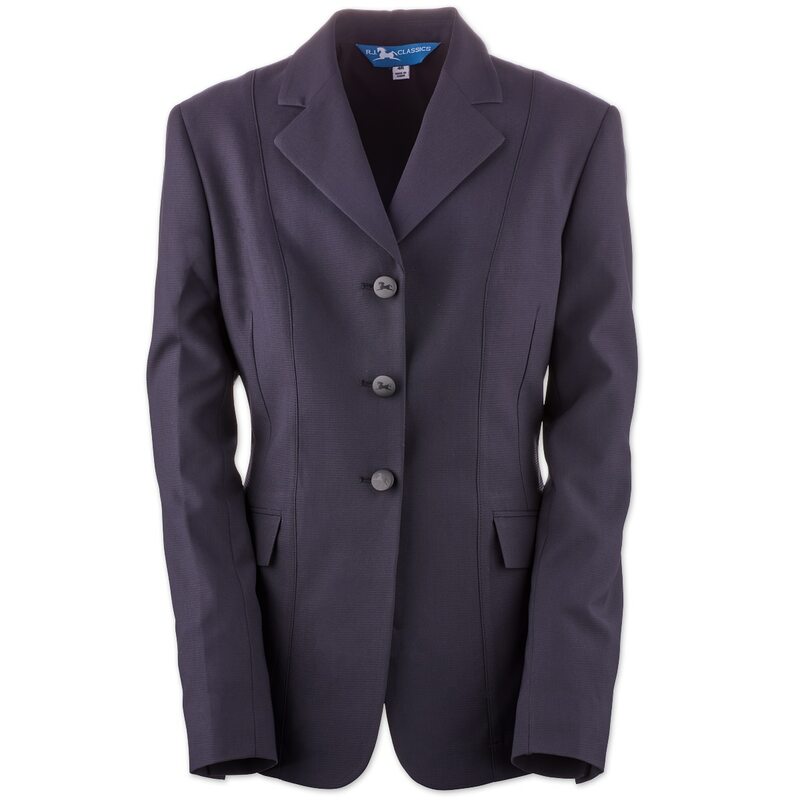 RJ Classics Sydney Blue Label Softshell Show Coat is rated 4.7 out of 5 by 3. Rated 5 out of 5 by Horseshow Mom from Excellent Hunt Coat I purchased this show coat for my daughter and I'm extremely happy with it! The quality is outstanding (expecially for the modest price) and it fits perfectly. I would definitely tell a friend to shop at SmartPak and recommend their customer service team for putting customers first! Thanks again SmartPak!! Rated 5 out of 5 by Jillybean3995 from AMAZING! This show coat is so awesome! I was a little hesitant to buy it because of the price. I thought it might look cheap, but boy was I wrong. This is an excellent coat for the price. Sometimes I don't like the look of softshells. The fabric can look tired and cheap, but this one looks really nice and you can't beat the price. I would totally recommend this to anyone!